Serial Returns - A Problem or an Opportunity for E-Commerce? Online shopping has drastically changed the way we shop and how much we return. Returns no longer mean going into a store and explaining to an assistant, why we are bringing back a product. We can simply drop our package at the post office. 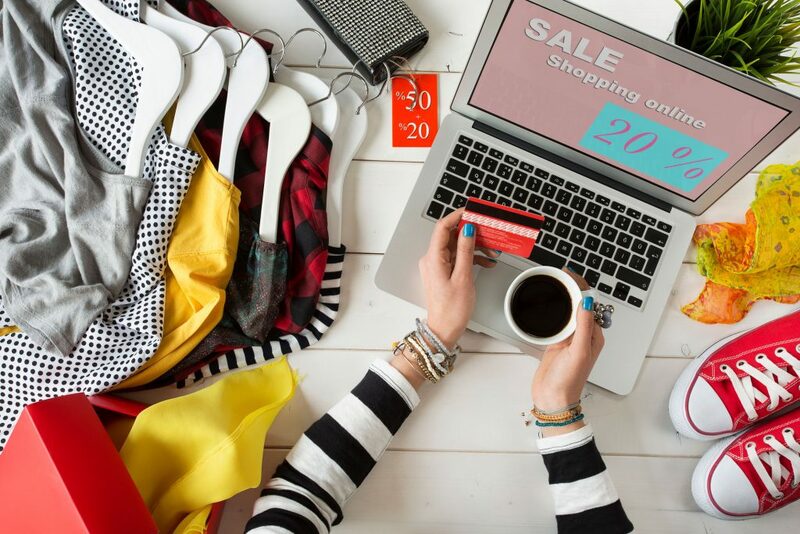 This has led to the rise of Serial Returners – shoppers who regularly buy far more than they intend to keep, a way of shopping that is now causing significant problems for e-commerce sellers. Fashion retailers are particularly affected with around 16% of products bought online being returned. According to a report from Barclaycard, British shoppers spend an average of £313 on online clothes shopping per year, but send back £146 worth of this. It’s not just fashion, retailers across the board report an increase over the last two years. For electronics, the rate is around 12% and returns are up by 10% across most sectors. Over the Black Friday and Christmas sales period, returns surge to 30%. For many, returns are the new normal. Why are Serial Returners a problem? Cash flow is not easy to manage when you can never be sure how much you will have to refund. Returns are often claimed within the last few days of the time window, almost a month after it was paid for. In some cases, this is even longer. Over Christmas John Lewis accepted returns within 90 days of purchase! Inventory management can also be difficult. In the “fast fashion” world, items that are returned are old news by the time the return has been processed, so cannot be simply put back into stock. This means they often end up being discounted, or even destroyed, cutting into margins. Returns need to be processed, and that takes people, time and money. Additional product handling will also require extra space in your warehouse or despatch area. Why are Serial Returns on the rise? Much of the growth in returns is to do with the way we shop online. Unlike in-store customers, people who buy online have a right to a full refund, even if there is nothing wrong with the product. Some shoppers take advantage of this, perhaps with reasonable intentions, such as to try on different sizes. Amazon’s new Prime Wardrobe scheme is specifically designed for those shoppers, who now only pay for the goods once they have selected what they will keep. Shopping at a distance will always bring surprises. Products can look different in the flesh to how they appear on a website. Sizes are often inconsistent, and details can be unclear. One of our team once ordered a fruit bowl only to find it was more suited to a doll’s house! Psychology also plays a part. Research has shown that buying something new gives us a thrill, more technically a rush of dopamine, which quickly wears off. Shopping online and returning the items is an easy way to get that rush without losing out financially – a kind of “fantasy shop” where perhaps you never expected to keep the products. Why cater for Serial Returners? Online sellers could perhaps be forgiven for thinking about cracking down on Serial Returners. Amazon has talked about a lifetime ban – but is yet to act on this. This could be a dangerous line to tread. Firstly, how would you identify a true Serial Returner vs a loyal customer? The people who send you the most returns, may in fact be your best customers. Retailers would be better advised to embrace these customers, try and understand why they return products and make it easy for them to shop, their way. How to Cope with Serial Returners? If returns are currently a problem for your business, there are many ways you can improve matters. Firstly, is your paperwork in order? Integrated Labels such as those made by Forms Plus mean that you can have one A4 sheet with two sticky labels for your shipping and returns label. This streamlines your despatch process, and makes the Returns process easier, for you and your customer. Providing the returns label means that the package arrives in the right place, with the information you need. You can then process it, get the item back on to your inventory, and adjust your cash flow, more quickly. If you do have bricks and mortar stores, could you encourage customers to “click and collect”? That way, they can check the items or try them on before they leave the store and you can process the inevitable returns immediately. Returns are often the result of not providing enough information on the website. Could you provide exact measurements as well as dress size? Add more photos? Look at why items get returned and add info to address those reasons? Some research shows that having a Wish List on your site can also help reduce Returns. Adding an item to a Wish List gives the shopper a lower level thrill, and the confidence to think the purchase through before ordering. That wait can help rule out impulse purchases that are less likely to stick. It also gives you a way to collect customer data and remind them of what’s on their list! Free, easy returns are increasingly a required feature of the shopping experience. Knowing they can send an order back gives buyers the confidence to buy from new brands, try new products and shop online for items that normally they would have wanted to see in store first. Returns are here to stay, and we’d love to help you make your processes smoother – so do get in touch.